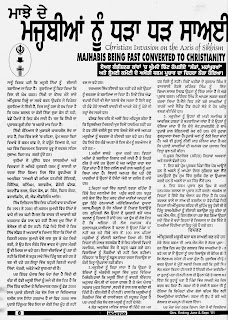 MAZHABIS BEING CONVERTED TO CHRISTIANITY ON A MASSIVE SCALE (In Punjabi) REALITY EXPOSED of the ‘All White Dressed Saints Travelling in AC Cars and often going overseas for prachar. 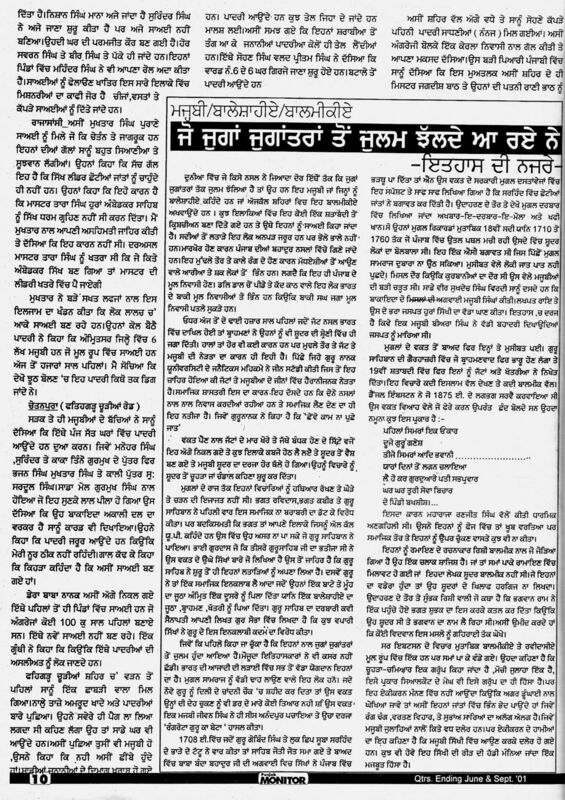 This is none of the concerns of SGPC which has since been made impotent. 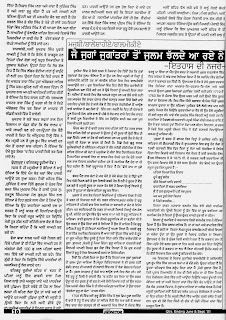 Poor Sikhs are being lured monetarily. 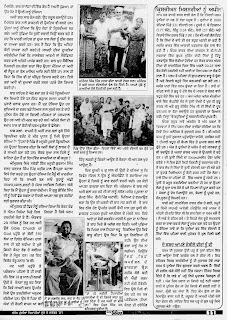 Also people suffering from curable disease converted after giving them treatment. 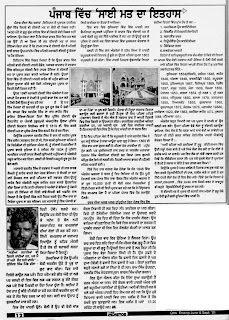 Christian preacher claim the patients are being cured with the power of prayers. 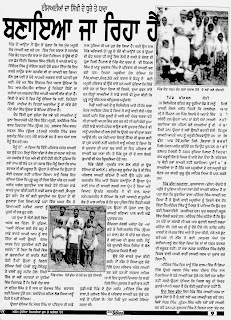 Here you will read story of the Mazhabis who faced cruelty all along ages who have been put to injustice all along for being ‘lowest’ in the Hindu classification called Varnashram or casteism. 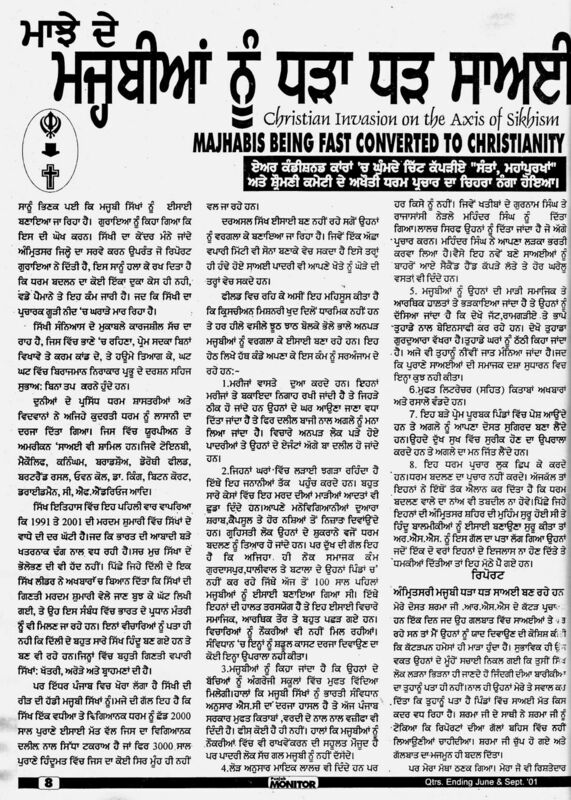 Also given here is the history of Christian movement in Punjab. 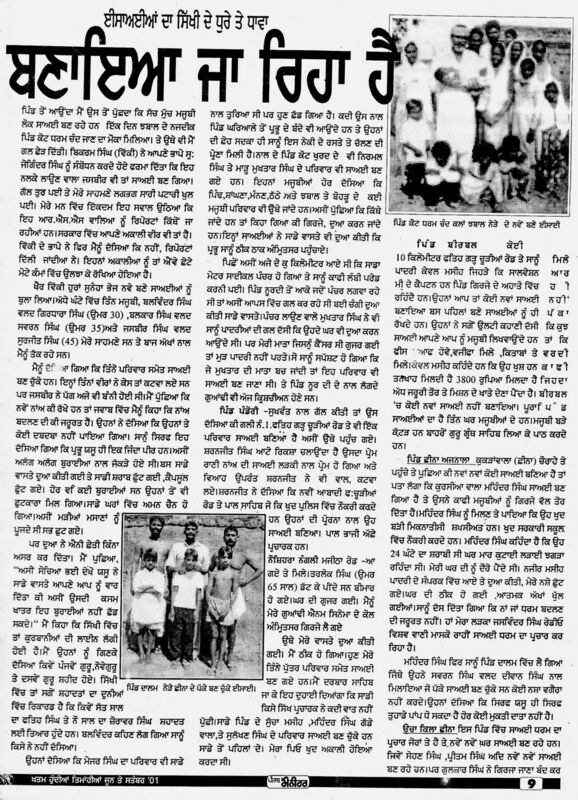 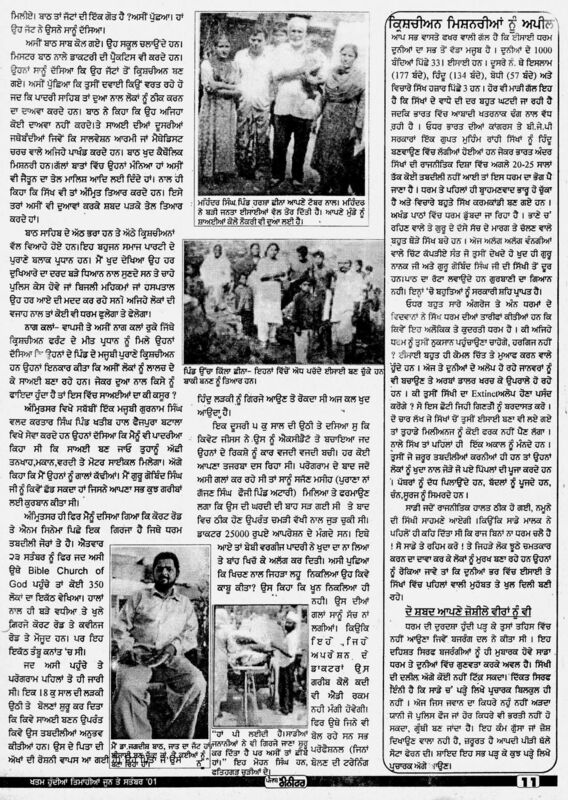 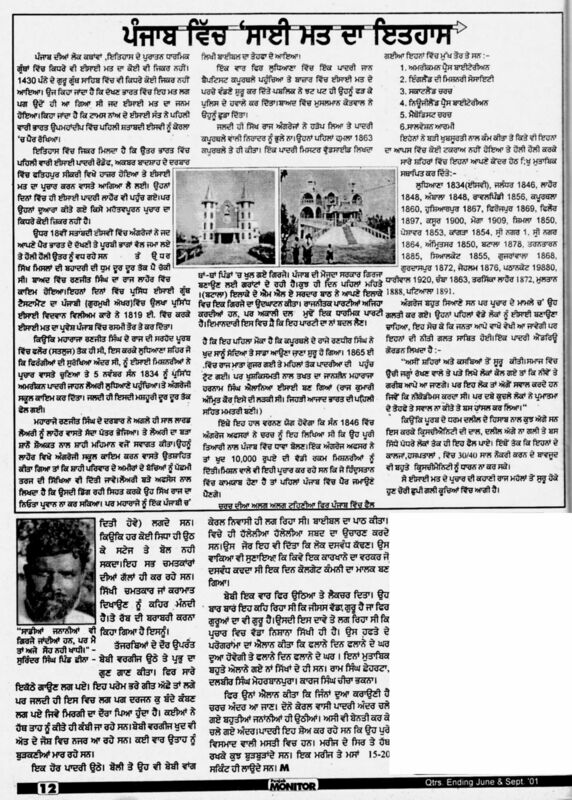 But sorry the article is in Punjabi (in image form) This article was published in January 2002.